Successfully Added Multifunctional Bluetooth Speaker - Power bank, Flashlight, 4000mAh battery, 10 Watt Stero Sound, SD Card Slot (Blue) to your Shopping Cart. 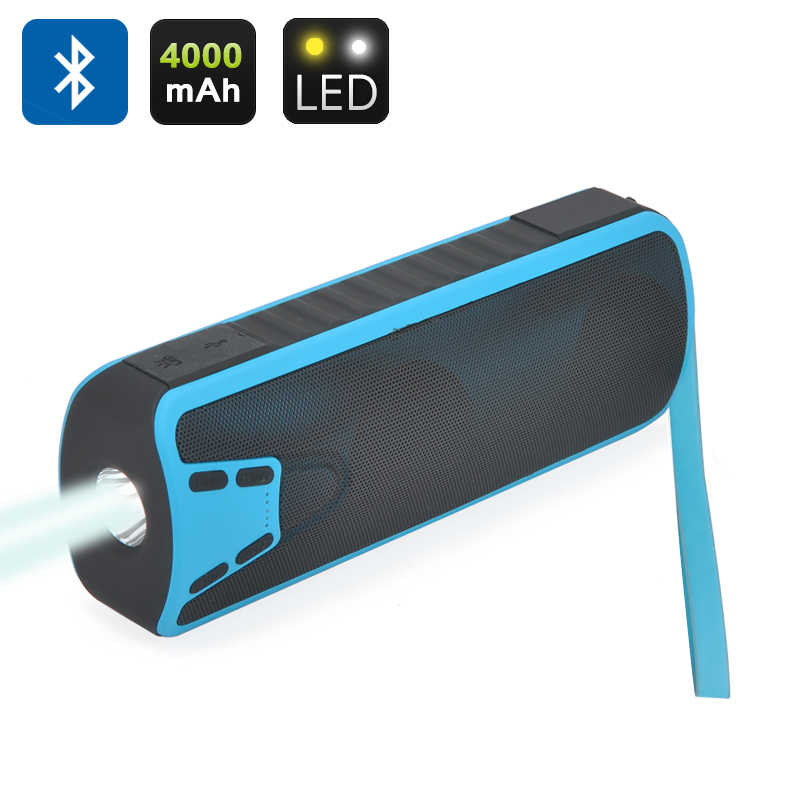 This truly multifunctional device als has a built in flashlight so you get three great functions from one compact gadget. This makes the speaker a real winner and great for camping trips as you get three uses rolled into one light weight space saving device. With a weatherproof outer and wrist strap the rubberized speaker has a comfy grip body and will allow you to answer calls hands free. With a micro SD card slot you can store up a huge music library directly on the speaker ort even connect to it via a 3.5 mm audio jack so it can be hooked up to your computer or MP3 player with easy. This multifunctional 10W Stereo Bluetooth speaker comes with a 12 months warranty, brought to you by the leader in electronic devices as well as wholesale Bluetooth Speakers..
MUITO BOM, FORMIDÁVEL VALEU A PENA. NÃO ENCONTREI NADA DE NEGATIVO.